Draft: 2008, Baltimore Orioles, 1st rd. May 13, 2017 Reno Aces released LHP Brian Matusz. February 23, 2017 LHP Brian Matusz assigned to Reno Aces. 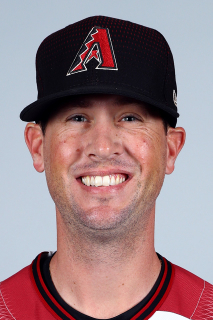 February 13, 2017 Arizona Diamondbacks signed free agent LHP Brian Matusz to a minor league contract and invited him to spring training. November 7, 2016 LHP Brian Matusz elected free agency. September 2, 2016 Iowa Cubs activated LHP Brian Matusz from the 7-day disabled list. August 27, 2016 Iowa Cubs sent LHP Brian Matusz on a rehab assignment to AZL Cubs. August 14, 2016 Iowa Cubs placed LHP Brian Matusz on the 7-day disabled list retroactive to August 13, 2016. August 12, 2016 LHP Brian Matusz assigned to Iowa Cubs. August 5, 2016 Chicago Cubs signed free agent LHP Brian Matusz to a minor league contract. August 4, 2016 LHP Brian Matusz elected free agency. August 3, 2016 Chicago Cubs sent LHP Brian Matusz outright to Iowa Cubs. August 1, 2016 Chicago Cubs designated LHP Brian Matusz for assignment. July 31, 2016 Chicago Cubs selected the contract of LHP Brian Matusz from Iowa Cubs. July 14, 2016 LHP Brian Matusz assigned to Iowa Cubs from Tennessee Smokies. July 12, 2016 LHP Brian Matusz assigned to Tennessee Smokies from Iowa Cubs. July 2, 2016 Iowa Cubs sent LHP Brian Matusz on a rehab assignment to AZL Cubs. June 17, 2016 Brian Matusz assigned to Iowa Cubs. June 15, 2016 Chicago Cubs signed free agent LHP Brian Matusz to a minor league contract. June 1, 2016 Atlanta Braves released LHP Brian Matusz. May 23, 2016 Baltimore Orioles traded LHP Brian Matusz to Atlanta Braves for RHP Brandon Barker and LHP Trevor Belicek. May 23, 2016 Atlanta Braves designated LHP Brian Matusz for assignment. April 23, 2016 Baltimore Orioles activated LHP Brian Matusz from the 15-day disabled list. April 15, 2016 Baltimore Orioles sent LHP Brian Matusz on a rehab assignment to Frederick Keys. April 7, 2016 Baltimore Orioles sent LHP Brian Matusz on a rehab assignment to Bowie Baysox. June 14, 2015 Baltimore Orioles activated LHP Brian Matusz. June 5, 2015 LHP Brian Matusz roster status changed by Baltimore Orioles. October 10, 2014 Baltimore Orioles activated LHP Brian Matusz. October 2, 2014 Baltimore Orioles reassigned LHP Brian Matusz to the minor leagues. August 24, 2012 Baltimore Orioles recalled LHP Brian Matusz from Norfolk Tides. July 2, 2012 Baltimore Orioles optioned Brian Matusz to Norfolk Tides. August 16, 2011 Baltimore Orioles recalled Brian Matusz from Norfolk Tides. July 1, 2011 Baltimore Orioles optioned Brian Matusz to Norfolk Tides. June 1, 2011 Brian Matusz roster status changed by Baltimore Orioles. May 27, 2011 Bowie Baysox sent LHP Brian Matusz on a rehab assignment to Norfolk Tides. May 21, 2011 Frederick Keys sent LHP Brian Matusz on a rehab assignment to Bowie Baysox. May 16, 2011 sent LHP Brian Matusz on a rehab assignment to Frederick Keys. April 3, 2011 Baltimore Orioles placed LHP Brian Matusz on the 15-day disabled list retroactive to March 30, 2011. Strained left intercostal muscle. August 4, 2009 Baltimore Orioles recalled LHP Brian Matusz from Bowie Baysox. June 15, 2009 Brian Matusz assigned to Bowie Baysox from Frederick Keys.